For your free secret, you can click here. 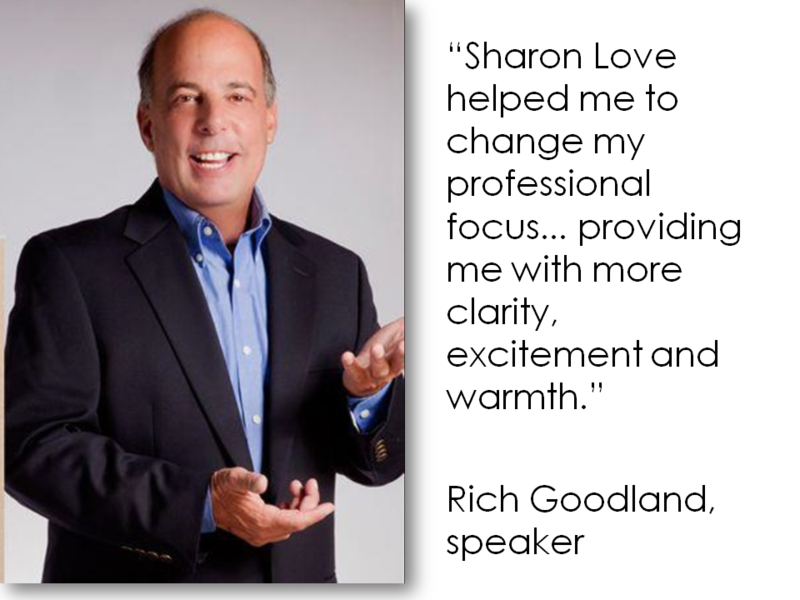 I've helped my clients to attract over $5,000,000 through speaking and writing. I want YOU to become another one of my great success stories. You're invited to an online course with a time-limited special introductory offer: only $97. In this online course, you will also learn to attract high-paying clients. 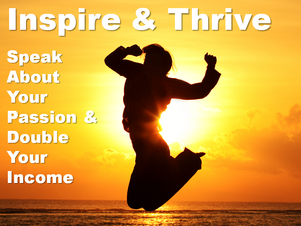 You can inspire and thrive! You are invited subscribe to our online course, Speak and Double Your Income, Guaranteed*. Time-limited special offer: only $97. 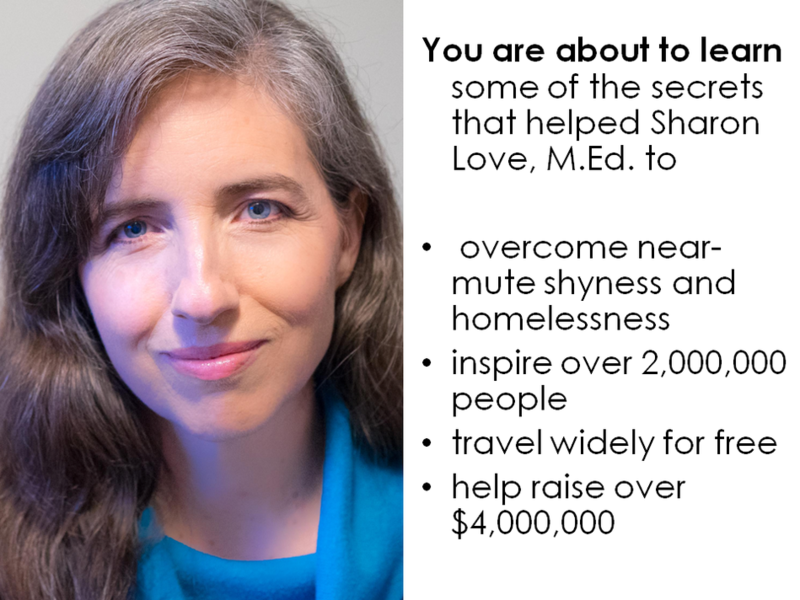 FREE bonus: Subscribe today, and you will get a free 15-minute speak & double your income consultation with author Sharon Love, M.Ed. (FREE gift valued at $2,500). 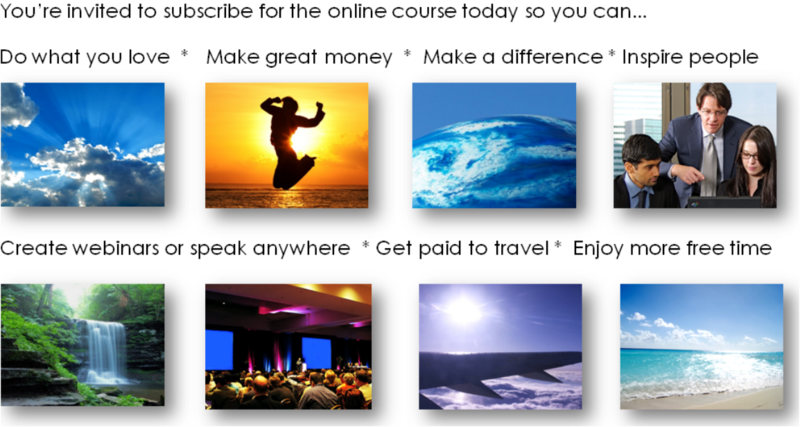 2) Click "Subscribe" for your guaranteed* online course (time-limited special offer: only $97). 3) Click the icons above to share this site. * Speak and Double Your Income Guarantee: if you complete all eight assigned projects, and you have not doubled your income in one year, you will get a free customized, VIP consulting session with Sharon Love, M.Ed. (full hour at $10,000 value). If you follow her advice, complete any new projects and do not double your income within 6 months after that, you will either get a full refund or another VIP consulting session (full hour at $10,000 value). 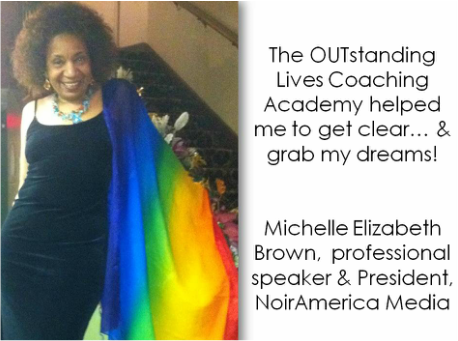 To apply for a VIP consulting session, send your completed projects (including screen shots) in one single Word document, PDF or online weebly web page to Sharon Love via fb or via outstandinglives(at)gmail.com , with “double your income” in the title.